ISBN 9783939767862, published in Jan. 2018 by ConchBooks, Harxheim, Germany and Conchology, Cebu, Philippines, laminated paper covers, A4 size, about 20 by 29.5 cm., 8 by 11.5 inches, 139 pages including 35 full color photographic plates with species and distribution maps and in text color photographs of the individual species. This is a very important monograph on the Genus Villosa in which this Genus is now restricted to the South-Eastern USA and other species previously in this Genus are now moved into several new Genera as well as into to previously existing Genera. As well as the new Generic clasifications, 2 new species are named and several new subspecies are name as well. About 20 species in all are now placed new taxonomic combinations. 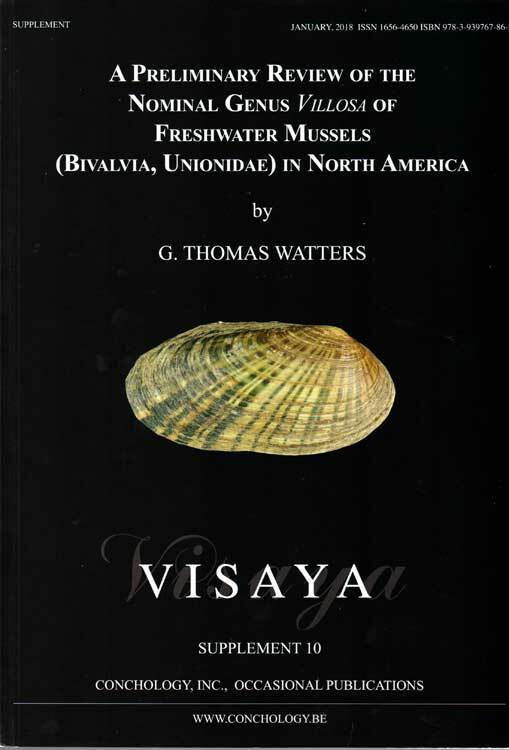 It is good to have this work in the now expanding amount of interest and research going into the freshwater mussels of the USA.